Diesel 4x4 4Door Crew Cab - Back-up Camera, Bluetooth, 4WD, Clean Carfax, Canyon SLE1 Diesel, 4D Crew Cab, 2.8L Duramax Turbodiesel, 6-Speed Automatic, 4WD, Onyx Black, Jet Black w/Cloth Seat Trim, Compass, Electronic Stability Control, Exterior Parking Camera Rear, Front Bucket Seats, Fully automatic headlights, Illuminated entry, Low tire pressure warning, Manual Rear-Sliding Window, Outside temperature display, Premium audio system: IntelliLink, Radio: AM/FM Stereo 8" Diagonal Color Touch Screen, Rear step bumper, Remote keyless entry, Remote Vehicle Starter System, Security system, SLE Convenience Package, Steering wheel mounted audio controls, Traction control, Trip computer. 2.8L Duramax Turbodiesel 4WD 20/28 City/Highway MPG Clean CARFAX. 4D Crew Cab Awards: * 2017 KBB.com Best Resale Value Awards * 2017 KBB.com Brand Image Awards AutoMax Pre-owned is a BBB Accredited Business with an A+ Rating. We offer factory direct cars at factory direct prices! We offer bumper to bumper extended warranties on all of our vehicles for up to 5 years or 100,000 miles. We also accept all trades and offer competitive financing options with very low rates. We are conveniently located just 20 minutes from Boston and 20 minutes from Worcester right on RT 9 in Framingham, RT 85 in Marlborough, RT 12 in Leominster, and on Washington Street in Attleboro MA. SR Edition - Back-up Camera, Bluetooth, Push Button Start, Sentra SR, 4D Sedan, Charcoal w/Premium Cloth Seat Trim, Electronic Stability Control, Exterior Parking Camera Rear, Fully automatic headlights, Heated Front Bucket Seats, Illuminated entry, Low tire pressure warning, Outside temperature display, Radio data system, Radio: NissanConnect AM/FM/CD Audio System, Remote keyless entry, Security system, Spoiler, Traction control, Trip computer, Turn signal indicator mirrors, Wheels: 17" Aluminum-Alloy 5-Spoke Design Machined. 1.8L 4-Cylinder DOHC 16V FWD 29/38 City/Highway MPG CARFAX One-Owner. 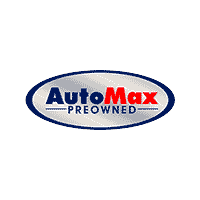 4D Sedan AutoMax Pre-owned is a BBB Accredited Business with an A+ Rating. We offer factory direct cars at factory direct prices! We offer bumper to bumper extended warranties on all of our vehicles for up to 5 years or 100,000 miles. We also accept all trades and offer competitive financing options with very low rates. We are conveniently located just 20 minutes from Boston and 20 minutes from Worcester right on RT 9 in Framingham, RT 85 in Marlborough, and on Washington Street in Attleboro MA. Former Rental Vehicle. Prices are subject to change without notice. All advertised prices exclude taxes, registration fees, and $599 dealer documentation fee. The information contained herein is deemed reliable but not guaranteed. Dealer is not responsible for any misprint involving the description of vehicles, it is the sole responsibility of the buyer to physically inspect and verify such information and condition prior to purchasing. AWD Premium Edition - Quartz Blue Pearl exterior on Ivory Beige interior with Back Up Camera, Bluetooth, Heated Seats, Steering Wheel Mounted Audio Controls, Premium Sport Wheels, and so much more. Very well equipped, clean Carfax, and super clean inside and out. Beautiful 2015 Subaru XV Crosstrek AWD with only 35k miles, very well taken care of and it shows... AutoMax Pre-owned is a BBB Accredited Business with an A+ Rating. We offer factory direct cars at factory direct prices! We offer bumper to bumper extended warranties on all of our vehicles for up to 5 years or 100,000 miles. We also accept all trades and offer competitive financing options with very low rates. We are conveniently located just 20 minutes from Boston and 20 minutes from Worcester right on RT 9 in Framingham, RT 85 in Marlborough, RT 12 in Leominster, and on Washington Street in Attleboro MA.